with our adaptable service packages and experienced consultants. We’ll provide request and problem management for our managed support services, complete with monthly service reports on key indicators. We can perform application and user administration activities along with admin maintenance and periodic system log and performance reviews. Experience end-to-end product configuration. We’ll design, configure, test, and deploy your basic configuration changes and fixes. Leverage experienced system and development experts to design, build, test, and deploy minor solution enhancements for your business. ResultsPositive’s IT managed services can help you identify needs, supply resources, and streamline IT processes across various platforms to resolve issues and drive success. Allow your resources to focus on core business strategies and innovation. 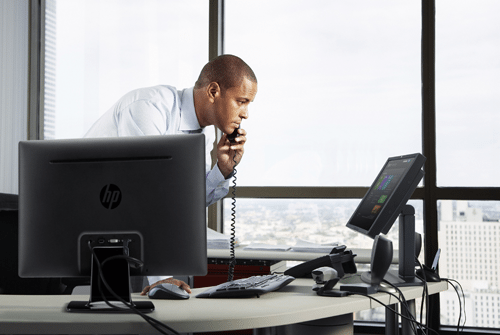 Improve performance and simplify operations with managed services. Available in flexible tiers, you can choose which package best suit your needs. Available as Part-Time (shown below) or Full-Time packages. Support your business with RP SaaS Services that meet your current & future needs. 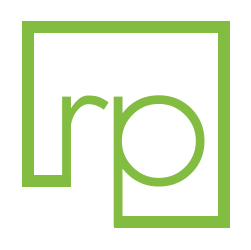 No matter where your organization is in their SaaS management, RP can handle your needs for installations, configuration, updates, backups, security, recovery, and more. Our enterprise level dedicated servers have a 100% uptime guarantee, 24/7 support, rapid deployment, and tier 1 hardware, offering you top speed & reliability. Cloud hosting is flexible, scalable, and SDD-powered with multiple availability zones allowing maximum access to business apps & test/dev environments. The best of both worlds, Hybrid hosting allows you to connect your cloud instance to the servers you already use to easily scale & manage performance. Combine the power of dedicated server hardware with the flexibility and scalability of Cloud computing. Snapshot your configuration at any time and connect through VNC from anywhere on the web. Achieve maximum performance for your database and heavy workloads. With a broad lineup of dedicated servers, our hosting solutions are fully optimized for speed, security and scalability. Enjoy secure and reliable storage. With storage options ranging from 4TB to 144TB, we provide flexible, simple snap-in solutions to handle your long-term, archiving, and backup needs. A team built to help you Make a Difference. Entertainment Partners had grown tired of their manual IT Performance Scorecard and wanted something a little more automated with flexible access. With ResultsPositive SaaS and HP Executive Scorecard, EP found what they were looking for and experienced the following benefits that improved their overall IT Performance. Peace of mind with access to experienced consultants. Support packages that fit your business needs. We offer 24×7 and 9×5 direct support with quicker response times, accelerated escalation, shorter resolution times, and 100% customer satisfaction. As a Certified ASMP-S Tier 1 provider, we provide timely resolutions as a result of our ability to escalate your status with Tier 2 and Tier 3 contacts. Access our award winning support team as your first point of contact while maintaining connectivity with a support knowledge base, patches, services packs, and upgrades. Contact us about our managed services.